Since 2012 migrants arriving regularly in Italy must sign an integration agreement and declare their agreement with a ‘Charter of the values’. Insufficient integration (measured through a point-based system) results in deportation. While the point-based system discriminates against the poor, the less educated and qualified, the subordinate workers, and the nomads, the Charter is inspired by stereotypical and stigmatizing visions of Islam. 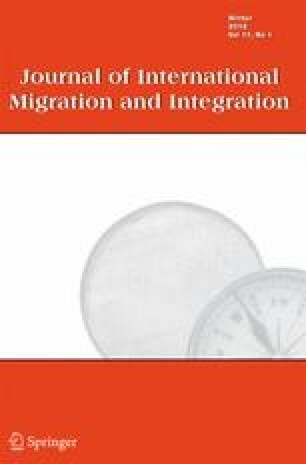 This paper identifies the cases of discrimination, both legal (freedom of thought, presumption of innocence, principle of non-discrimination, right to an effective remedy, laicism of state) and symbolical, of the integration agreement, and analyses Italian integration measures before the background of the concept of differential inclusion: the incorporation of regular migrants requires them to pass under a symbolic and legal yoke, which increases their hierarchical differentiation. The integration agreement is also analyzed with regard to its relationship with border controls and with the concepts of ‘illegalization’ and ‘deportability’. I am grateful to Karin de Vries for her helpful comments. Earlier versions of this paper were presented in Agrigento (‘Razzismi, discriminazioni e confinamenti’ conference), Bergamo (‘Mapping Conceptual Change in Thinking European Borders’ conference), Bergen aan Zee (VU Migration Law Seminar ‘Bergen VI’), Palermo (postgraduate seminar, Scuola di dottorato in Diritto sovranazionale e diritto interno, Palermo University) and Bologna (graduate seminar, Dipartimento di Scienze politiche e sociali, Bologna University). Thanks go to the hosts—Antonella E. Castronovo, Mario Grasso, Michele Mannoia, Marco A. Pirrone and Alessandra Sciurba (Agrigento); Gianluca Bocchi, Chiara Brambilla, Jussi Laine, James Scott (Bergamo); Juan Amaya Castro, Daan Bes, Evelien Brouwer (Bergen aan Zee); Aldo Schiavello, Guido Smorto and Isabel Trujillo Perez (Palermo); Sandro Mezzadra and Irene Peano (Bologna)—as well as to the participants for the inputs received. I also acknowledge feedback from two anonymous reviewers. European Migration Network (2012). Ad-Hoc Query on Citizenship Tests. Requested by AT EMN NCP on 27th April 2012. Compilation produced on 28th September 2012. http://www.sisekaitse.ee/public/ERV/ad_hoc/muu/2011/2012/EMN_NCP_AT_Ad-Hoc_Query_on_Citizenship_Tests_22062012_open_compilation.pdf. Accessed 18 June 2014.